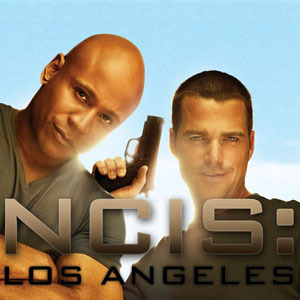 NCIS: Los Angeles (2009 - ) has changed the History of Television forever. Daniela Ruah, Time's ‘Person of the Year’ 2019? Eric Christian Olsen Single Again? According to the latest Watch and Listen magazine poll just out yesterday (Wednesday, April 24), CBS's popular series NCIS: Los Angeles is now considered to be the Greatest Show in the History of Television. To many of you it’s probably a familiar story. Once every decade, the world-renowned entertainment magazine Watch and Listen conducts a global poll of television producers and critics from 80 different countries and translated into 20 languages. The recognition of NCIS: Los Angeles (starring Chris O'Donnell, Daniela Ruah, Eric Christian Olsen and LL Cool J) in this decade's list doesn't come as much of a surprise. NCIS: Los Angeles?? … Really?? Do you agree with this poll? Is NCIS: Los Angeles the best TV show ever for you?